I put off going to the doctor for 6 months to a year. Why? Because I didn't want to weigh on the scale. Wait a minute, hear me out. 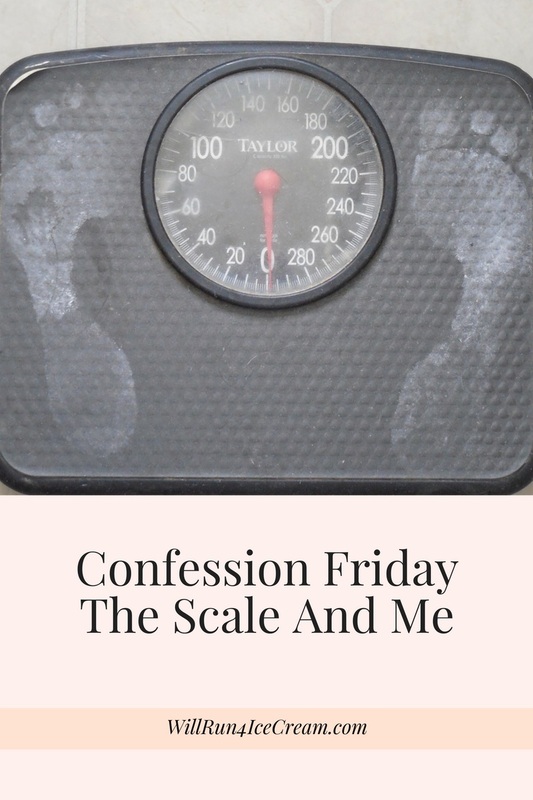 I didn't want to weigh on the scale because I was afraid that the doctor would say something to me about me weight. But after being close to a year late for my gynecological exam, I knew that I needed to go. 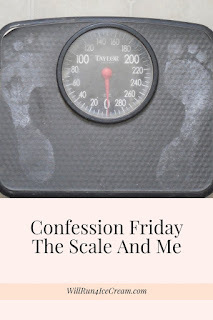 It was silly not to get regular check-ups because of my being afraid the doctor would harp on my weight. So last January, I went. And.. yep... the first thing he asked me was was I still running? I had gained about 20lbs in a year. The weight needed to come off. I was considered overweight now and the comments went on and on. I left the office feeling dejected. And I vowed to lose the weight. I was going to do this. And even then, after I gave up sugar I felt the need to weigh myself. I mean, wasn't the number on the scale the determination of my self worth? Ok, so that's being a little dramatic, but so many times that's what I've allowed that number to tell me. Today, I walked back into that same dr's office, and no I haven't lost the weight. In fact, I was up 8 pounds. And guess what? Yep, he commented on my weight. And honestly I'm not happy about it. It does make me feel bad that I am now considered overweight. But that number doesn't define me - neither does my pants size, bra size or any other size on my body. I understand that the scale is a tool to possible gauge what may or may not be healthy or unhealthy. But it is simply that. My nutrition is better than last year at this time. (When I'm not injured), I am working out 5-6 times a week with cardio. I am lifting weights 3-4 times a week. I am working on stretching and yoga, and improving my body in ways that I never dreamed that I could do. I look in the mirror and see muscle definition that I have never noticed in my life. Do I have my flub around my stomach? I sure do. And if I sit there and allow myself to focus on the things about my body that I don't like, I will never see progress. So instead, I'm working on my perspective (It's All About Perspective). Can I say I am truly happy that my weight was 8 pounds more than last year? Well no, I can't 100% honestly say that it doesn't bother me a little. But what I can say is that I am not a number. I will not be defined by a number - not a number on a scale - the number of miles run - the time on the race clock - the pounds lifted on the bar. Sure, I am proud of my accomplishments, and with each PR that I hit, I do feel a sense of accomplishment, but it's just that... a goal... I am not defined by a number. I admit I almost didn't go to the doctor because of the scale, but I'm so glad that I did. Today's visit is resulting in some follow up visits concerning my thyroid. It's not news that I was expecting to hear, and no it shouldn't be the reason for the weight gain. So if you (like me) sometimes put off going to the doctor because of your weight or the issue of the doctor harping on your weight, I encourage you to please go get your medical check-ups as needed. Don't let that number keep you from taking care of your health and health needs! I have struggled with weight my whole life. I've maintained a healthy weight for almost 4 years now, but I have to be careful about what I eat -- not obsessive, but like you, I'm vertically challenged & that makes it more difficult. Thankfully I don't have a thyroid problem. And believe me, in the past, I've struggled with some disordered eating, too. Bingeing, yes, but thankfully not bulimia. I'm at a healthy weight, I work out, and yet there's a lot of flab still -- no doubt because of years of yo-yo dieting. It isn't easy. I hope that the tests can help you figure out what's going on. I'm in your corner!